Moving during the Summer means you probably don’t have to worry about missed school days for the kids. It’s warmer outside which puts most people in a more energetic mood and may get you some extra help! Summer is peak moving season for moving companies so make sure and schedule your move well in advance. 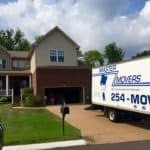 Moving rates generally go up in the Summer, if you can schedule in the Spring even if your move date isn’t for a few months out, you may avoid the rate increase. Saturdays are the busiest, if you can move during the week like on a Tuesday or Wednesday, your mover and the moving company will likely be less hectic and better able to give you one on one attention. It’s Hot, this can pose a danger to you and your mover. It’s a good idea to keep everyone hydrated. A 24 pk of water and a bag of ice cost less than $10 and can make a big difference! 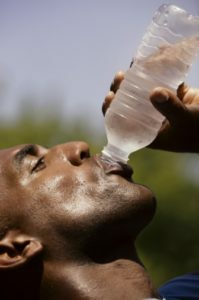 Fill a cooler with waters instead of sugary drinks, it’s cheaper and more hydrating. Your movers will do much better if they don’t get heat exhaustion. A five minute break in the shade with a bottle of water can keep your mover at top performance. Always leave your schedule flexible for unforeseen circumstances that may arise, this means don’t schedule your move date for the last possible day before you must be out. When searching for movers you will undoubtedly run across websites offering to get numerous quotes for you. This drives me crazy. Avoid these companies if you can, and you may avoid some scams! They are selling your information. Call moving companies yourself to get some quotes that way you can give more specific information to the mover and get better results. A lot of moving companies will run specials on Amazon local or groupon, check these sites for a great deal. Most of the time you can get a free hour of moving which could save you over $100! Yippee! As always being prepared can save you Money! Have those boxes packed up and ready to go.